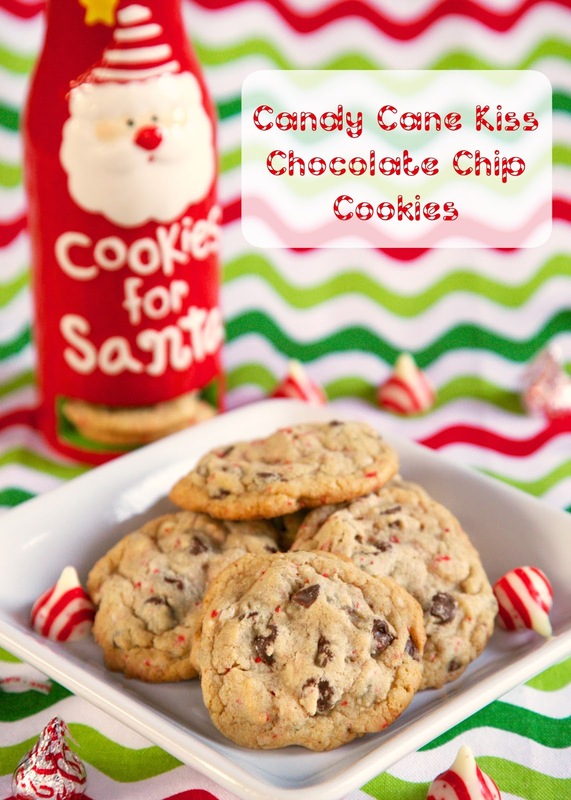 Candy Cane Kiss Chocolate Chip Cookies - chopped up candy cane kisses and chocolate chips combine to make a festive and delicious treat. Great addition to your holiday cookie tray! Everyone always asks for the recipe!!! A delicious holiday cookie recipe! Last year I participated in a cookie swap by mail. I sent out cookies to three people and three people sent me cookies. It was so much fun! My favorite cookie was a Candy Cane Kiss Chocolate Chip Cookie. I made them several times last year, but never got around to posting about them. 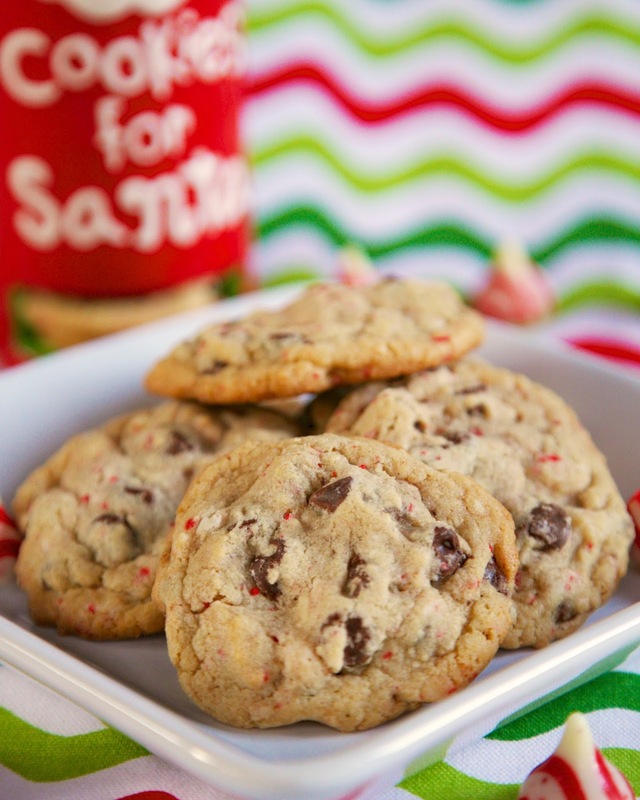 I made a batch of the Candy Cane Kiss Chocolate Chip Cookies last week and they were amazing! So soft and full of great peppermint flavor. These cookies use a bag of chopped up Candy Cane Kisses. They make all the difference! Chicken Legs has already requested that I make him another batch ASAP! Preheat oven to 375 degrees. Line baking sheets with parchment paper (for easy cleanup). In the bowl of an electric mixer, beat together butter, shortening and sugars until fluffy, about 2 minutes. Add eggs and vanilla, mixing well. Slowly add flour, salt and baking soda. Mix until just combined. Fold in chocolate chips and candy cane kisses. Scoop dough into 2 Tbsp balls (medium cookie scoop). Place on baking sheet. Bake for 9-10 minutes. Remove to wire rack to cool. A delicious dessert for Santa! This totally made my day! Merry Christmas! !